It was launched In 1980 April at NIE and later at RIEs as MHRD programme. The cell mainly takes up the task of creating awareness among adolescent students at the regional and state level regarding the Adolescent Reproductive Health and other issues like Drug Abuse, Personal Hygiene, Concern for others and Respect for Elders, Save Girl Child etc. Locally, the cell conducts programmes related to the above areas in DMS. various competitions like Poster making, Folk dance and role play are organized every year in DMS. The students selected through such competitions represent DMS at National Level competition in NCERT. The cell also engages itself in carrying out research activities on areas and issues concerning adolescence education in southern region. Recently, a national conference in the area of adolescence education was conducted in which papers were presented on various themes under adolescence education. Besides this, the cell plays a pivotal role in catering to the needs and requirements of SCERTs in the southern states concerning the adolescent education programmes. The coordinator of this cell is Dr. B.H.Sujatha. The National Population Education Project Cell was launched in 1980 April at NIE and later at RIEs. The cell mainly takes up the task of creating awareness among adolescent students of Demonstration school regarding the Adolescent Reproductive Health and other issues like Drug Abuse, Personal Hygiene, Concern for others and Respect for Elders, Save Girl Child etc. The awareness is created through the NPEP cell by conducting various competitions like Poster making, Folk dance and role play. The students selected through such competitions represent DMS at National Level competition at NIE, NCERT Headquarters New Delhi. From last few years there have been research taken up in the area of adolescent education to know the impact of such programme implemented at Southern states and DMS Mysore. Folk Dance, Role Play were held for VIII, IX standard students of DMS Mysuru. Poster making competitions were held for VIII, IX, X, XI and XII standard students of DMS Mysuru. The teams that represented DMS Mysuru at National level bagged 2nd prize in Folk Dance and 1st Prize in Role play. A one-day training program was held for IX standard DMS students on chart and poster making on various issues of adolescents. A drama was played by Children’s Literacy Club Directed by Dr R Purnima and group on “Stage Chemistry: Nuero-Psychiatric Disorders” to reduce the culture divide among adolescents. 1.Folk Dance, Role Play and Poster making competitions were held for VIII, IX standard students OF DMS Mysuru. 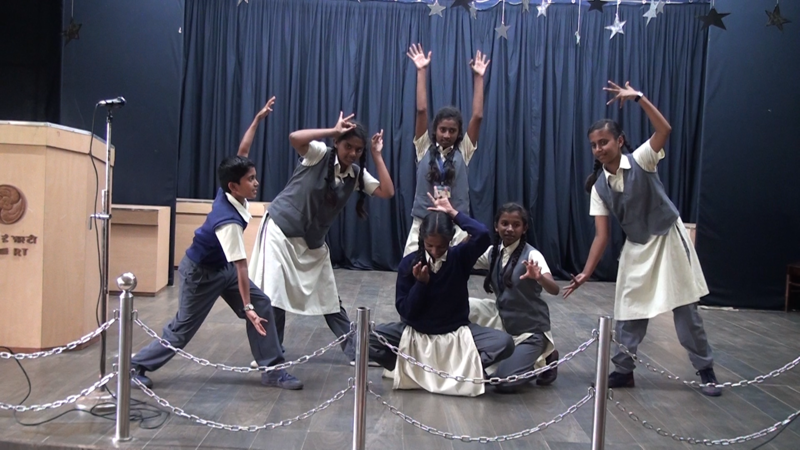 2.The teams that represented DMS Mysuru at National level bagged 1st prize in Folk Dance and 2nd prize in Role play. A one day training program was held for IX standard DMS students and VI semester B.Sc.Ed, B.A.Ed, M.Sc.Ed and II semester B.Ed students on chart and poster making on various issues of adolescents. 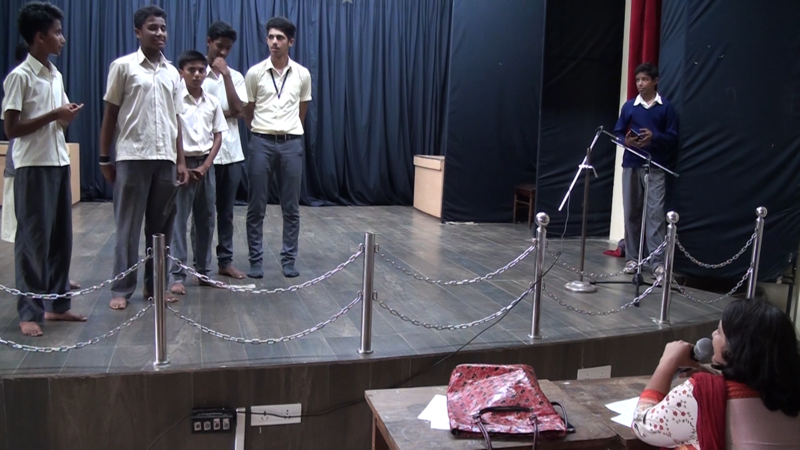 A drama was played by Rangayana troupe on “Project Adithi” to create awareness regarding ill effects of television competitions on adolescents.